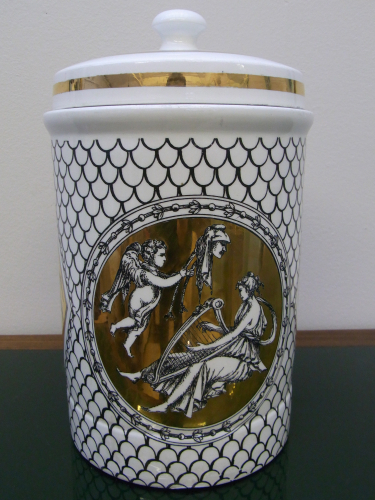 Exceptional ceramic jar with gilt decorative panels. Ceramic and gilt lid. 4 gilt panels. Jar near perfect, some gilt wear to the lid. By Piero Fornasetti, Italy 1950`s. Original paper labels to jar and lid.